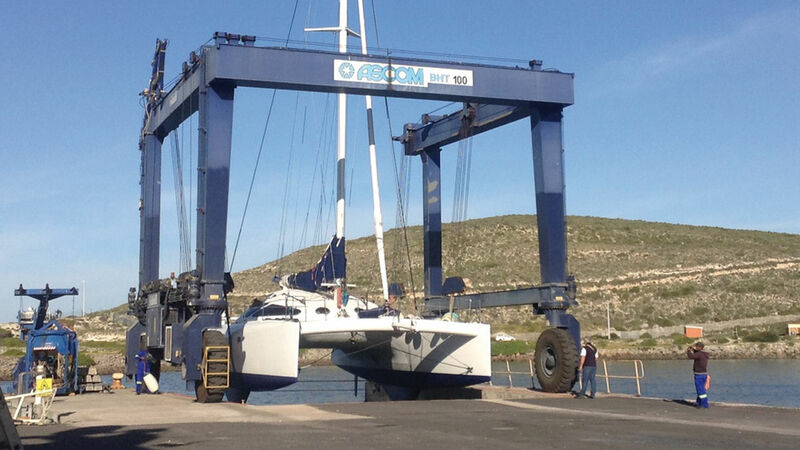 After many miles, P’titFilou, our catamaran deserves a little time out of the water. And in South Africa it’s easily done! 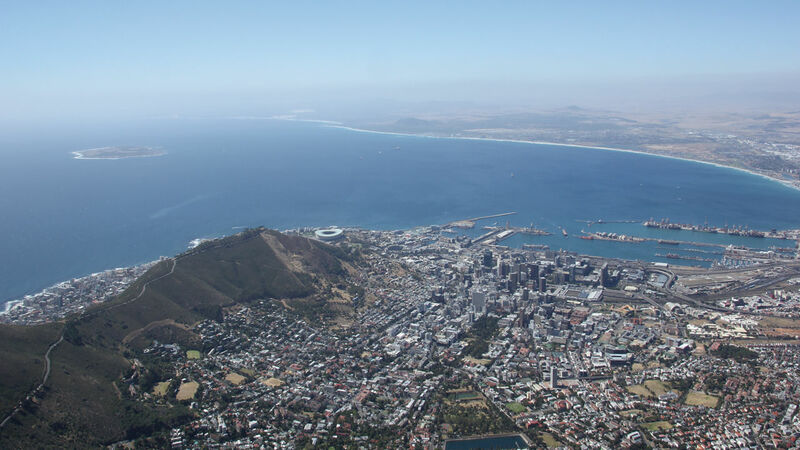 Before and after the work on your boat, Cape Town’s marinas know how to look after you! Our neighbor on the pontoon isn’t too timid! South Africa produces 30% of the world’s catamarans. That puts it in second place behind France. From November to March, there is a kind of migratory pattern to those sailing around the east coast from Richards Bay to Cape Town before rejoining the South Atlantic, and waiting for the next weather window in between stopovers: Richards Bay; Durban; East London; Port Elizabeth; Mossel Bay… to mention the main destinations. In many of them there are marinas or Yacht Clubs, but there are also some lovely anchorages in the region. It’s worth joining the Zululand Yacht Club- a simple formality- which will allow you to get better rates at the other Yacht Clubs, most notably, Cape Town. 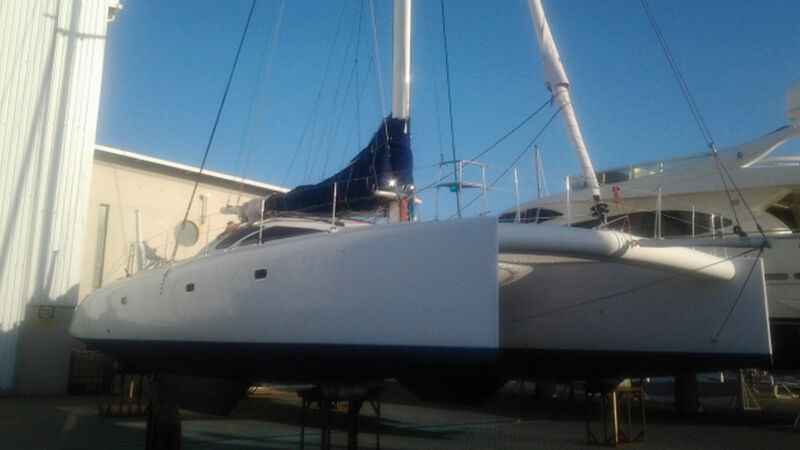 Some marinas struggle to accommodate multihulls. This is the case at Port Elizabeth. There is only the fishing boat quay but you risk seeing your warps chafe through or the boat scraping up and down the dock walls. On our cat we were lucky enough to be able to do the trip from East London to Cape Town in one hit. Some long haul sailors make the most of this stopover to leave the boat on the hard or in a marina, to go back home or to visit the interior. It’s worth noting that getting a multihull out of the water here can pose problems depending upon the beam and weight of your boat. You could take your cat or your tri out at Richards Bay. But this will be a trailer system which takes the catamaran from underneath… otherwise if your boat is too big or too heavy, you will have no chance but to head for the Cape Town or Durban region to find a crane or a Travelift which will allow you to get the boat out easily.